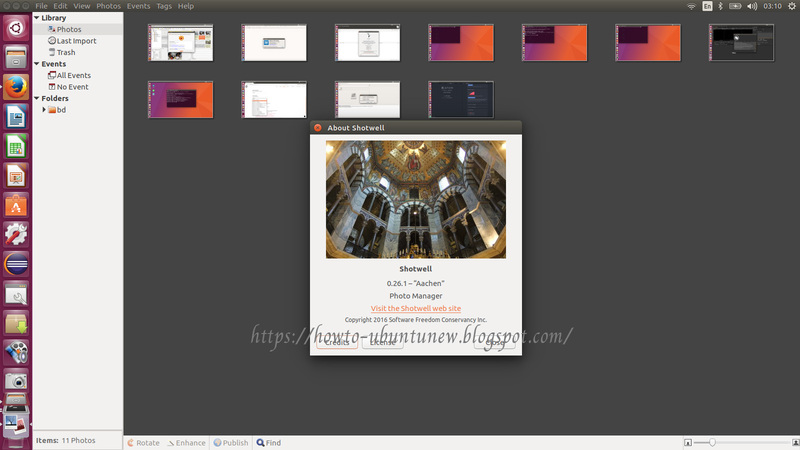 Shotwell 0.26.1 is an image organizer designed to provide personal photo management for the GNOME desktop Shotwell can import photos and videos from a digital camera directly. Shotwell automatically groups photos and videos by date, and supports tagging. Its image editing features allow users to straighten, crop, eliminate red eye, and adjust levels and color balance. It also features an auto "enhance" option that will attempt to guess appropriate levels for the image. Add autopilot autopkgtest to check import from a libgphoto2 camera (simulated with umockdev, recorded from a Canon PowerShot SX200). debian/tests/import will run under a local session D-BUS and xvfb, but you can also run the test interactively with "cd debian/tests; autopilot run autopilot_tests". Build with scour for SVG optimization. Drop Ubuntu Online Accounts (UOA) dependencies since this package no longer supports it. We can add this PPA to Ubuntu Operating Systems and install Shotwell with few easy commands.